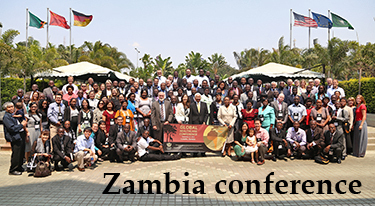 I have just returned, with a number of Loma Linda University Health colleagues, from two weeks in Africa. We held Global Healthcare Conferences in Abidjan, Cote d’Ivoire, for West African countries, and in Lusaka, Zambia, for east and central Africa. 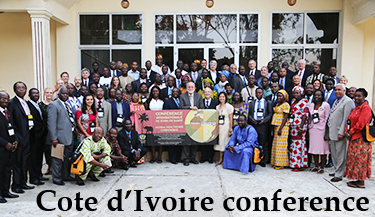 They were four days each, with several hundred participants attending from some 25 different countries. This is part of Loma Linda’s international commitment to continue to upgrade Seventh-day Adventist health care throughout the world. We have settled into a pattern of having a conference here at Loma Linda every even year, and a regional one somewhere in the world on the odd years, though the demand for learning and connectedness may impact that schedule. With 54 recognized countries, Africa has 1.2 billion people, slightly fewer than China or India, and constitutes 15 percent of the world’s population. But more significantly, it is our youngest continent, with 50 percent of the population under 20 years of age. The burden this places on health care and education is enormous. While it is one of the richest continents in natural resources, it has been plagued through the years by economic pillaging, civil unrest and corruption. It continues to be one of the poorest regions of the world, with the population of sub-Saharan Africa subsisting on an average of one dollar per day and many national budgets committing less than $10 per person per year for health care. Despite these challenges, the spirit of Africa is contagious, one of hope and collaboration. Great cities are arising across the continent, while the scourge of HIV/AIDS is starting to wane. But the “missing generation,” those parents who have died of AIDS, means that grandmothers are caring for many grandchildren, with limited resources and ability to educate and care for them. The traditional African custom of sharing and caring for others often spreads this burden across the entire village and beyond. This has been effective when there are villages, in the rural areas, but it is less helpful in the growing slums around the large cities. Within this milieu, the Adventist Church is growing rapidly and provides valuable developmental tools. The nearly 6.5 million members in sub-Saharan Africa constitute one-third of the total church members in the world, meeting in 24,000 individual church groups. We also operate 25 hospitals, from old, rambling rural mission hospitals to modern city-based facilities. Loma Linda University alumni started and manned many of these places for generations, with some now buried in the overgrown cemeteries on each campus. There can be no question that our collective impact has saved millions of lives and brought hope, and a chance at development, to thousands. But as medical technology is forcing rapid and costly changes in health care, the big question is — can we keep up? Does our business model of the past, largely dependent on missionaries and donations, work into the future? Unfortunately, we have not created attractive working environments for the growing number of young Adventist professionals in each country who now have choices on where and for whom to work. These are the issues we discussed in our conferences. How do we obtain and maintain modern medical equipment when the power is intermittent and there are no technicians around? How do we maintain accurate financial statements when computers and software are still being mastered? How do we manage increasingly complex institutions within the old ecclesiastical model of decision making within the church? Young professionals, both nationals and those from abroad, need and want solid governance and management of their institutions if they are going to grow their careers within church institutions. They already have enough challenges to practice their professions effectively without the addition of a perceived lack of support from their leaders. So this is what we do, and did, on this trip. Loma Linda University Health created an organization called Adventist Health International 17 years ago as our vehicle for helping these institutions around the world. We coordinate logistical support, sending equipment, technicians, volunteers and donations. We strengthen governing boards, establish management protocols and seek to create national systems that can build on each other’s assets. It is immensely gratifying to watch these systems come together and start to develop hope in the future. Both Malawi and Zambia are now on the verge of creating national Adventist health systems, with three hospitals each that will once again be strong and provide quality health care. But many challenges remain. The immense North African countries, beginning with the northernmost boundary of Morocco, Algeria, Tunisia, Libya and Egypt, have hardly been penetrated with Christian health care. Even the next ring of countries — Mauritania, Mali, Niger, Chad, and Sudan — have very little Western presence despite massive health care needs. Most of these countries are largely Muslim and despite security risks, are open to health professionals providing assistance. But even as I write, we are having to evacuate our health care professionals and volunteers from Chad due to security threats from both Boko Haram to the south and al-Qaida in the Lands of the Islamic Maghreb to the north. This means the incredible work that James and Sarah Appel started — and now carried on by Olen and Danae Netteburg, Rollin and Dolores Bland, and Scott and Bekki Gardner, along with many volunteers — may temporarily be on hiatus, waiting for the signal to return. The commitment of these folks, and their reluctance to leave even under these circumstances, is admirable to the max. The final memorable event of our recent trip was celebrating the centennial birthday of Malamulo Hospital in Malawi. This is truly the granddaddy of mission hospitals, beginning as a primary school in 1902, and adding a clinic in 1915. Malamulo has an amazing storied history and is a name known throughout Malawi and beyond. Thirty-six LLU medical alumni have served there through the years, with scores more coming as short-term volunteers. 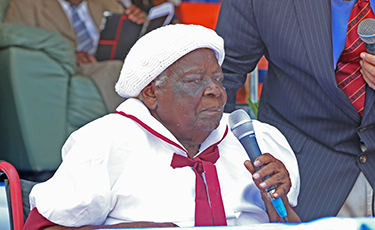 A highlight of the ceremony was the testimony of Lisnett Chipyoza, who started working at Malamulo in 1925 as a 19-year-old, later becoming a nurse midwife. Do the math — she is now 109 — and after urging the crowd to remember that Jesus is coming, she sang “Sweet Hour of Prayer” in a strong, clear voice. 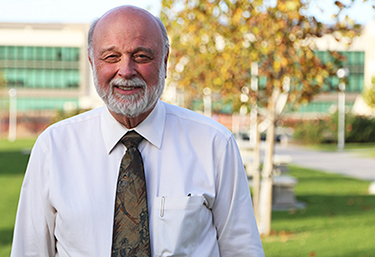 Loma Linda has no corner on the principles that led to our city’s recognition as a Blue Zone. Click here to see her sing the song and explain why she loves it. Loma Linda has designated Malamulo as its first field station, using it for faculty research, resident rotations and student training. Its 200 beds and increasingly sophisticated clinical services provide an ideal opportunity to grow professionals with an understanding of the needs of the majority world. With all major medical specialties covered, Malamulo now provides a surgical residency for Africans through PAACS (Pan African Academy of Christian Surgeons) and plans to add a family medicine residency soon. It also offers Malawi’s first Women’s Center, providing Pap smears, colposcopy and treatment protocols. This is in addition to the well-established Malamulo College of Health Sciences, which offers training programs in nursing, medical assisting, laboratory technology and for clinical officers. It is indeed a privilege for Loma Linda to be identified with Malamulo, and we look forward to even more collaboration and innovations in the future. This trip showed Loma Linda at its best — connecting, consulting, contributing — in meaningful ways. Thank you to all our alumni who have developed this culture of serving the world. It makes us all immensely gratified and proud.